There are currently 4,165 users on this website. 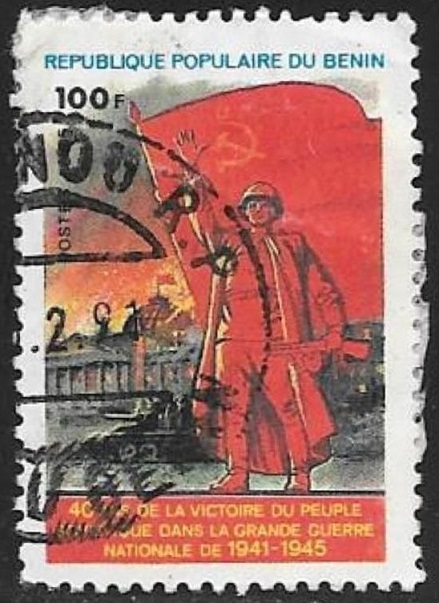 Benin - 40 Years End Of World War Ii - Unissued ? Can someone shed light on this stamp. It is from 1985 from Benin. Seems the stamp was unissued (?). In my very old Michel I find it as A398 with no pricing given. Thanks for showing. If a cancelled stamp exists it should not be an unissued stamp really. Anyone has any information as to the story of the stamp ? With Michel a letter prefix simply means the stamp was assigned a catalogue listing after the original numbering had been formed. 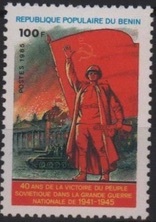 This practice allows the numbering of other stamps to remain unchanged when and if some previously "unknown" stamps are added. If the stamp was unissued, it would have been assigned a roman numeral (I,II, III,IV,...) in Michel. Collecting the world 1840 to date one stamp at a time.